Chicago rapper, Famous Dex returns with a new single "Japan," off his debut album, Dex Meets Dexter, which will be available everywhere April 6th. "Japan" follows Dex's smash hit single, "Pick It Up" featuring rap superstar, A$AP Rocky. The record has been steadily climbing the Hot 100 Billboard Charts! Fans will be happy to hear more of the energetic music Famous Dex has built his career on. It's clear that the animated rapper is on a roll with another show stopping record and head turning visuals. Since he splashed on the scene in 2015, Famous Dex has had the Internet talking. 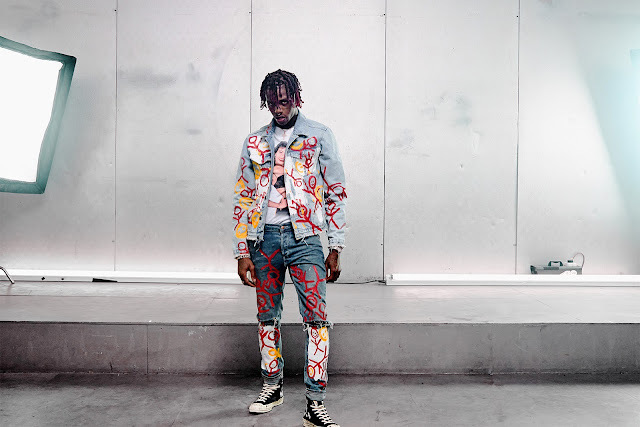 After signing with 300 Entertainment and Rich the Kid's Rich Forever label imprint, Dex released viral hits like "Drip From My Walk" and "Hit Em Wit It." The Chicago native soon caught the attention of A$AP Ferg, appearing on two records from his latest mixtape, Still Striving. After making an incredible impression on the A$AP Mob, Dexter connected with the group's front-man, A$AP Rocky for an unforgettable collaboration and music video, "Pick It Up." Dex now is prepping for a tour and the much anticipated release of his debut album, Dex Meets Dexter. Take a look at Famous Dex's Japanese-video-game-inspired lyric video and keep a look out for the official "Japan" music video coming soon!